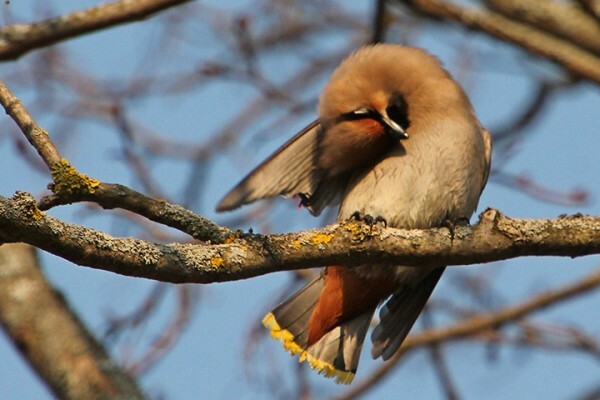 Prioksko-Terrasny Reserve > News > Reserve news > What a pity, but we must part! What a pity, but we must part! 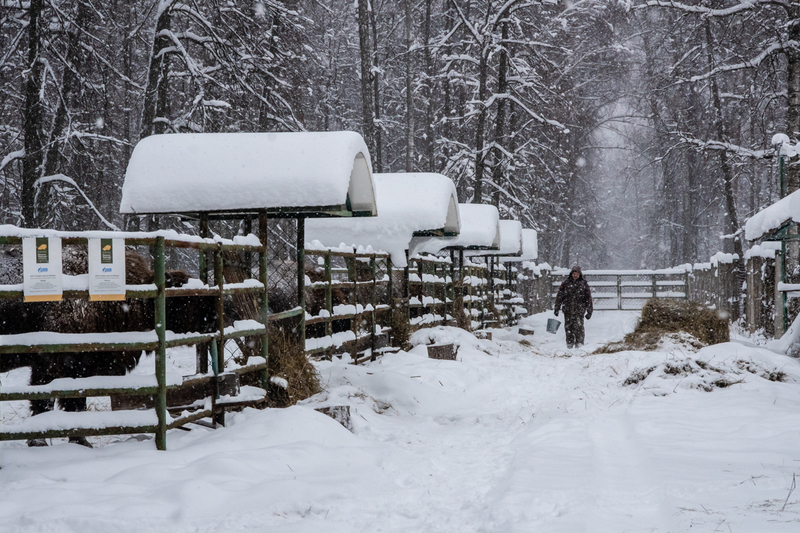 The central bison nursery of the Prioksko-Terrasny Reserve continues to work on the replenishment of the Russian free population of bison. 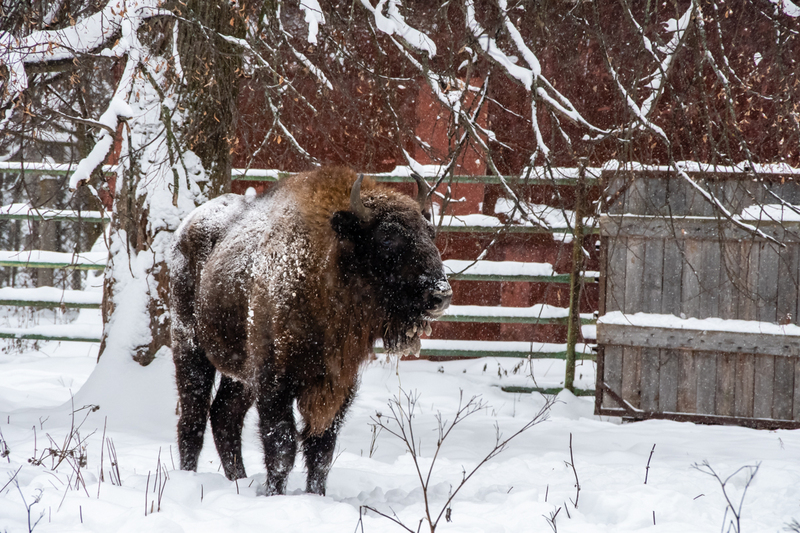 In total this year, 13 animals were removed from the Central Bison Nursery. 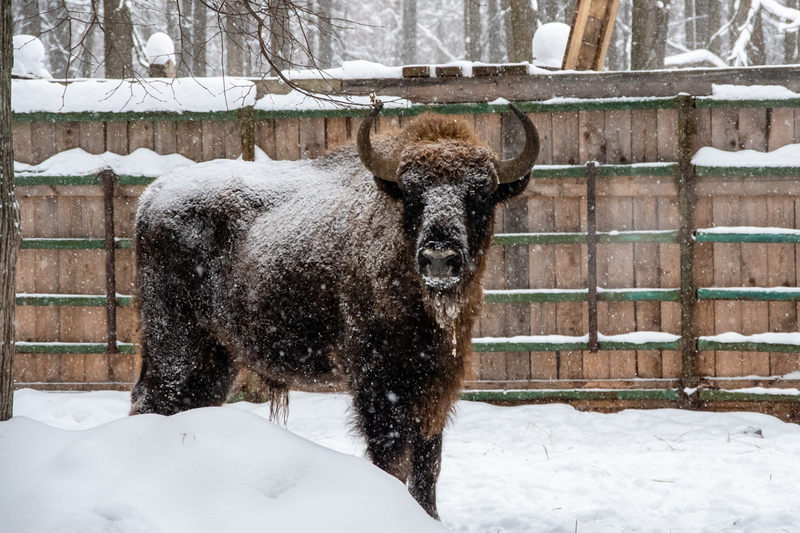 A few days ago, six of them supplemented the free population of the Bryansk Forest Reserve.Today, the national park “Ugra” takes seven young bison: three males and four females. 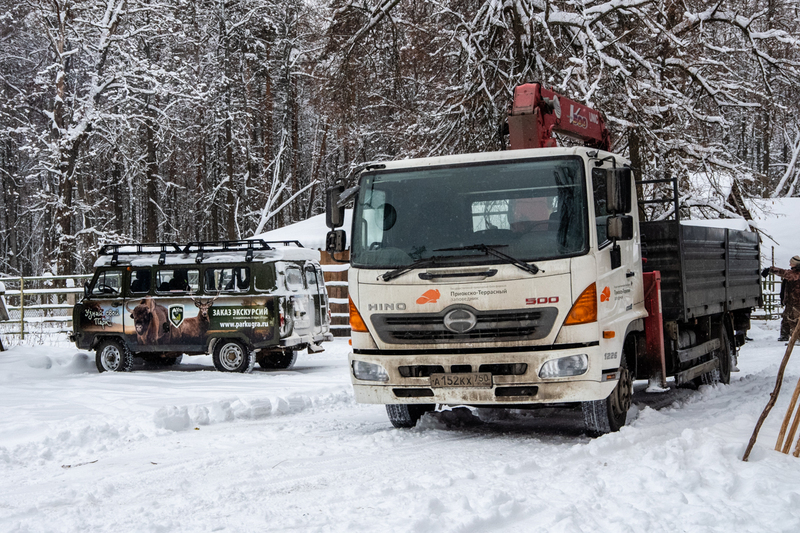 These are our pets born in 2016, they have grown up, got stronger and are ready for life in the wild. In this group there is a more adult male named Muboy – 2013 year of birth. 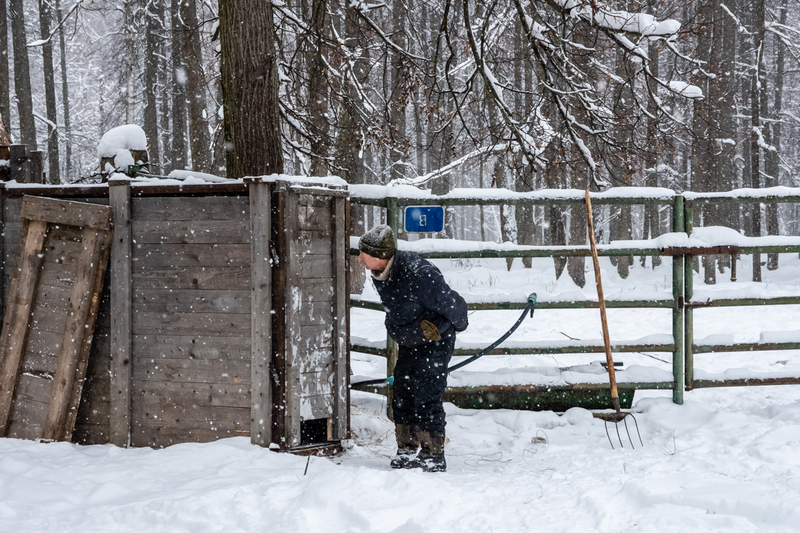 The loading of animals was fraught with great difficulties – it was snowing heavily, people and equipment could hardly move, but thanks to the extensive experience of the staff and good equipment, everything was finished in due time. 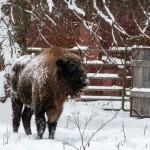 Bison quickly calmed down in the transport cells. A long move will soon disappear from their memory against the backdrop of new bright impressions. 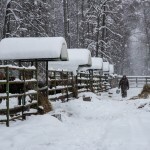 The hard winter road is left behind, the bison feel great and eat hay in quarantine pen with appetite. 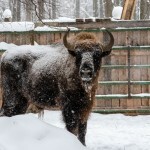 Bison appeared in the Kaluga region relatively recently – the first animals were brought from the Orlovskoye Polesye national park in February-March 2014. 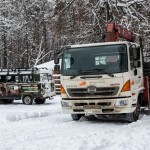 They found their new home in the Berezichsky Forestry of Kozelsky District. 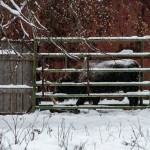 In the same year, the first calf was born, named Alpha. 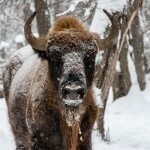 Now about fifty bison inhabit the territory of the national park. 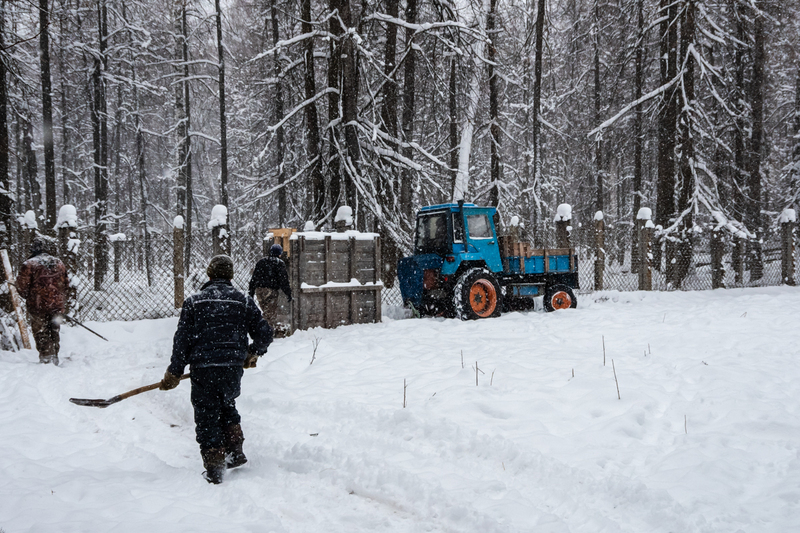 It will take a month and a half quarantine, and new tenants from the Moscow region will join their ranks. 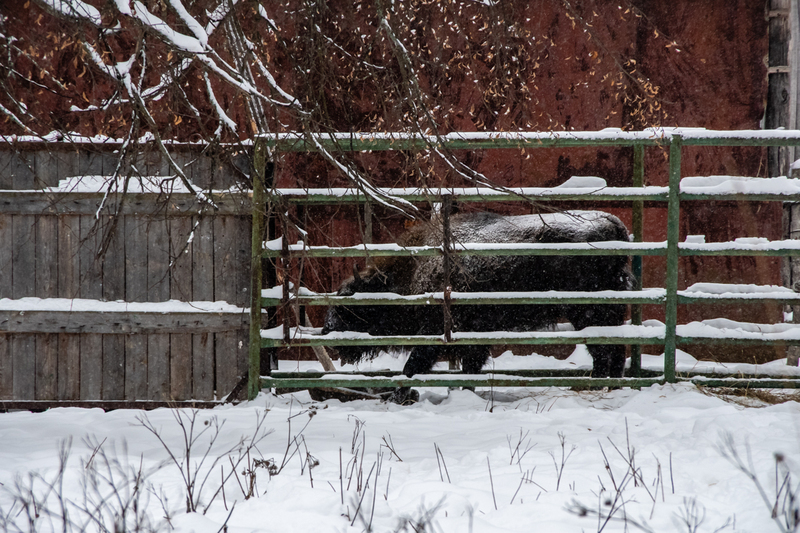 In addition, local inspectors say that bison calls from the neighboring Kaluga Zaseki reserve are often recorded in the park. 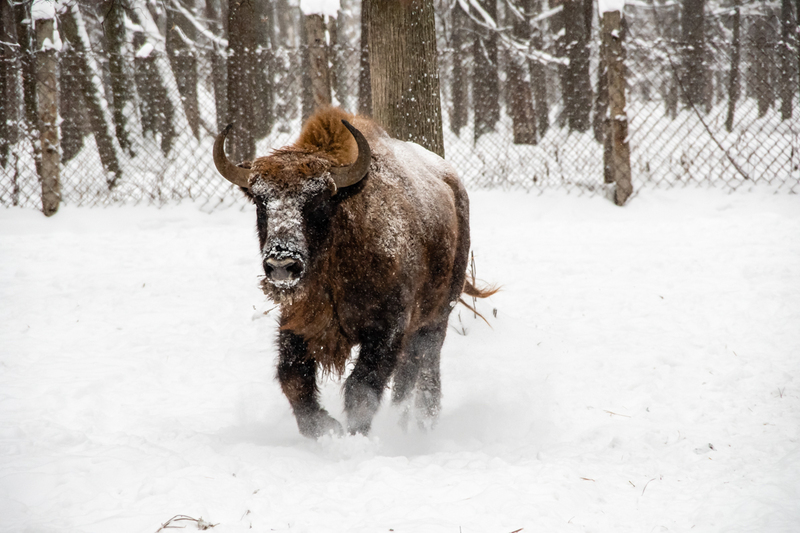 Our bison first went to the National Park “Ugra”, we hope for further fruitful cooperation. 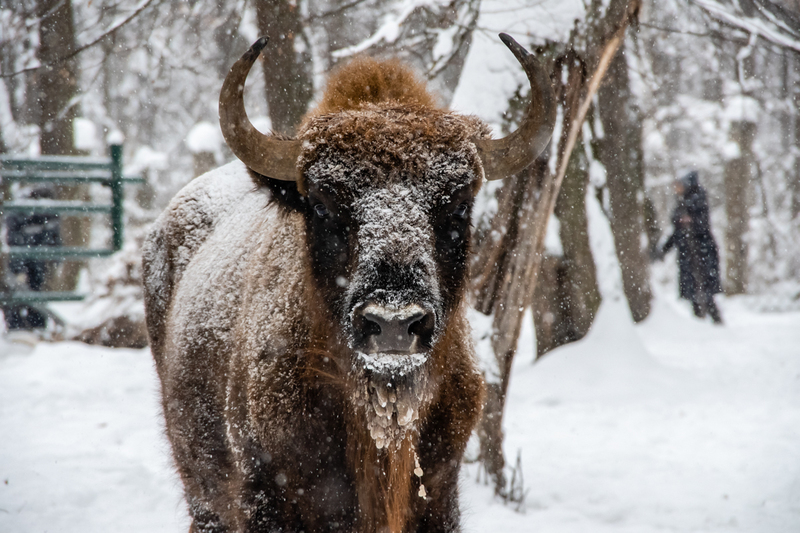 The bison, which had almost disappeared from the face of the earth, has returned, but there is still a lot of work to be done to restore its population. 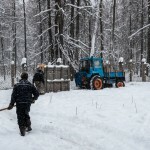 It is important to preserve and increase what has been achieved!